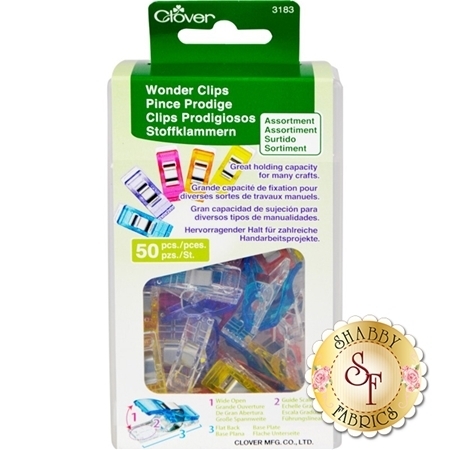 Wonder Clips are a wonderful alternative to pinning fabrics with their ability to open wide and hold layers of fabric. 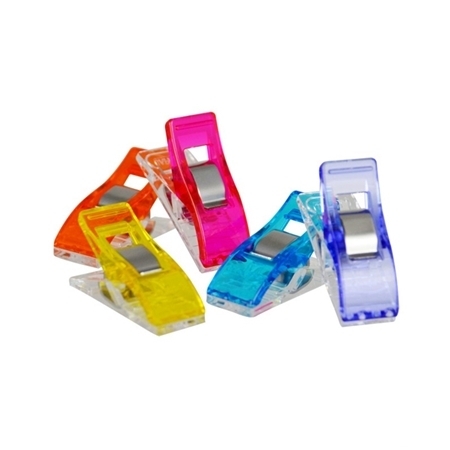 The base of the Wonder Clip is flat to allow it to lay smoothly on any level surface like tables or sewing machine needle plates. 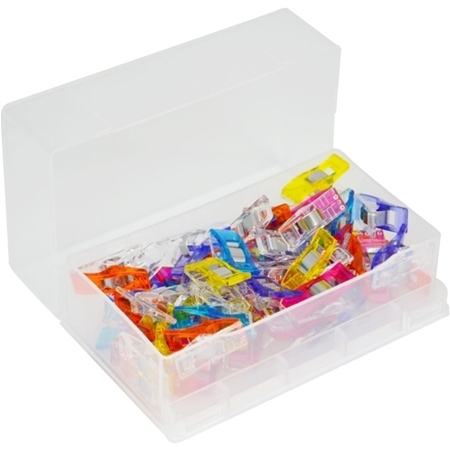 Pack includes 50 assorted colors wonder clips.